Welcome to Nomadicpixel, the personal website of Don Silcock. First up… this site has no commercial purpose, it is simply where I document and share my travel experiences, images and adventures. There are no ads or attempts to influence. It is what it is and is all based on what I have personally done and experienced. Written and photographed as best as I could at that point in time. A bit old school really I suppose, but hey a bit of retro is OK now and then! Besides my family – the single most important thing in my life – I have two passions. Starting with scuba diving and underwater photography. Basically I love the underwater world and have been diving since 1978, believe it or not! I have been very fortunate to dive some of the best locations and big animal aggregations in the world. Taking photographs underwater is both a challenge and a journey with no destination – you never stop learning. Above water I love travel and adventure motorcycling. I have also been really fortunate to visit many places with my day job – which was great initially. After all if somebody else is paying, it has to be good – right? Well actually no and over time I realized that staying in corporate hotels and spending your time in endless meetings isolates you from reality. The only way to understand that is to get out of your comfort zone. Which by nature is not comfortable, but is something you just have to do. So Nomadicpixel began as the travel equivalent of indopacificimages.com. 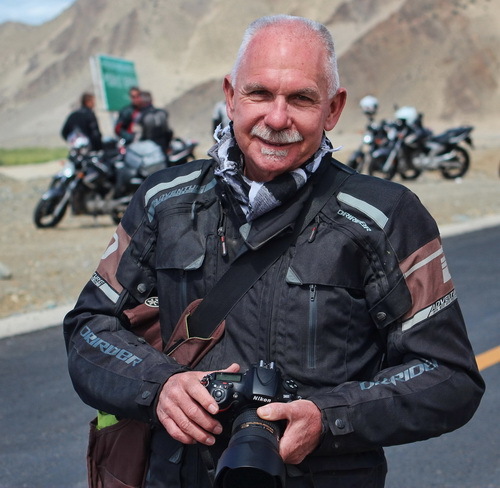 But a funny thing happened in 2013 when I rediscovered my long lost love of motorcycling as a result of signing up for Rally Indochina and a bike trip riding the Ho Chi Minh Trail on a classic Russian Ural. My experiences on the Ho Chi Minh Trail opened up a whole new area of interest to me… Basically I realized that adventure motorcycling can get you to some really interesting and photogenic locations. Places that you would not normally be able to see and photograph, unless it’s from the window of a car or bus! 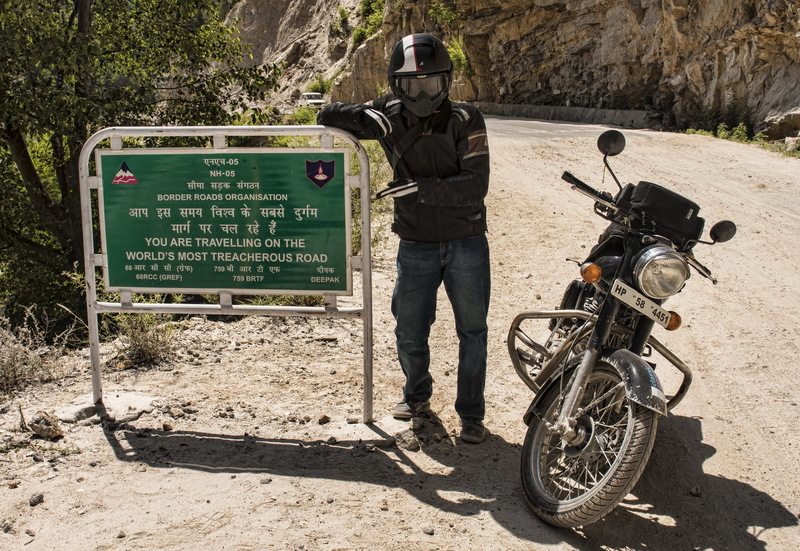 In the Himalayas – the Worlds’ Most Dangerous Road? So as I really started to explore the roads less traveled. And Nomadicpixel evolved in to more of a travel blog with pictures… I try to use my camera to record the most interesting and photogenic locations I visit on my those journeys. And provide a little vignette of some of the intriguing people I meet on the way. I hope you enjoy reading about them as much I enjoy photographing and writing about them!